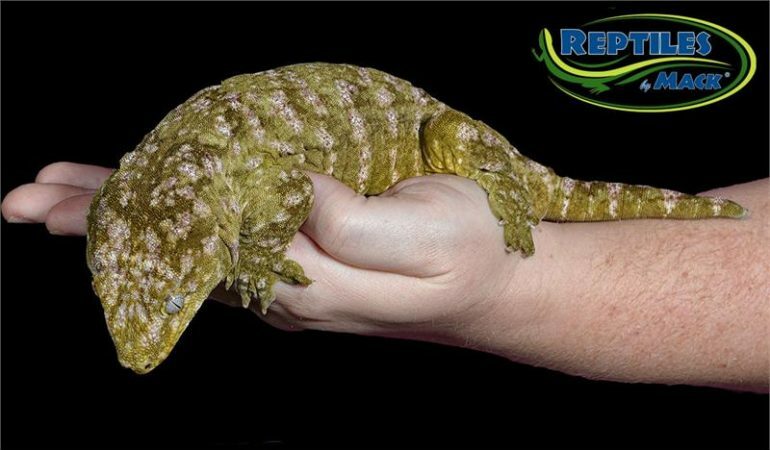 Giant Leachianus Geckos are the largest known living gecko. 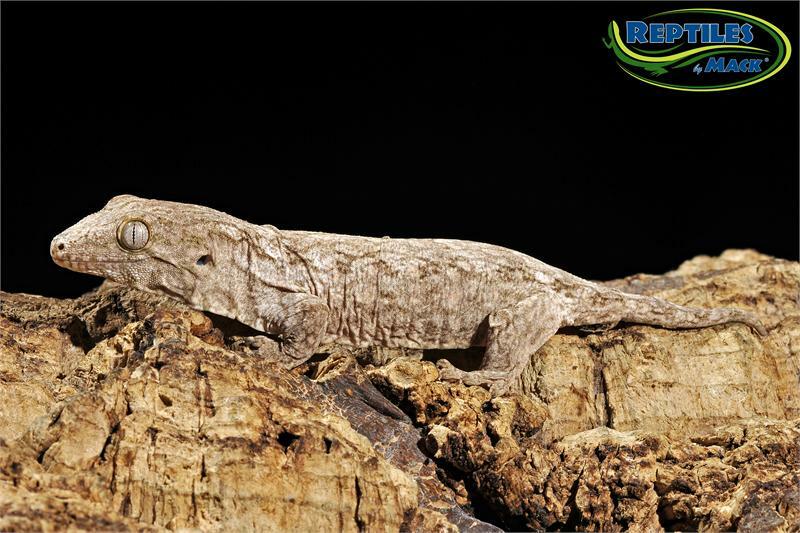 They are also known as the New Caledonian Giant Gecko or just Giant Gecko. They are a popular reptile due to their vocal skills. At night you may hear growls, squeaks, barks and yips. They love to communicate between each other so housing a pair together is recommended. They are nocturnal species and will spend most of the day sleeping. Once up at night they are very amusing to watch wandering around in their cage. 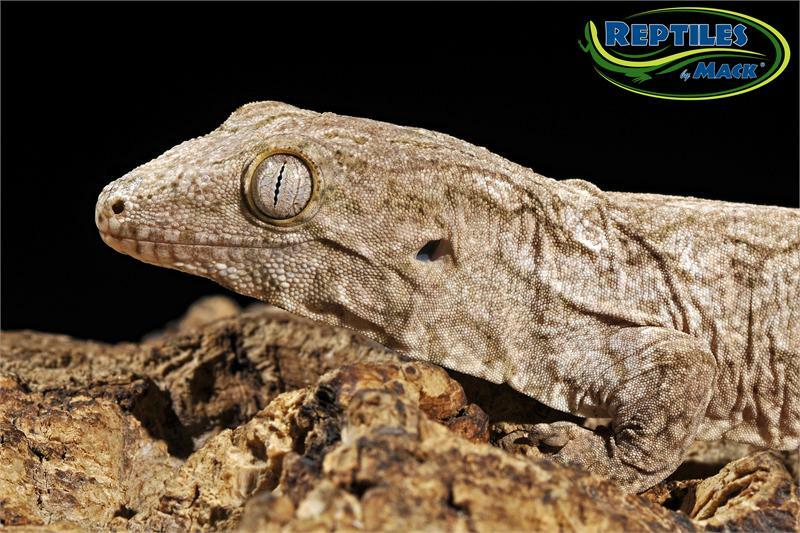 These geckos are more expensive because of their limited availability due to small clutches. Giant Leachianus Geckos are very territorial. They should only be housed individually or in pairs. Once a Giant Leachianus has established its territory, you should not try to add another Giant Leachianus to the same cage or they will fight. Enclosure: Giant Leachianus Geckos are semi-arboreal species. Provide a vertical enclosure that provides ample hiding places, thick branches and sturdy foliage. House juveniles in a five to ten gallon enclosure. Juveniles can become stressed if there enclosure is too big. Sub Adults can be housed in a twenty gallon enclosure and adults should be house in a thirty gallon enclosure. Substrate: You can use organic soil, coconut fiber or paper towels. Habitat: Giant Leachianus Geckos love their vertical space. Bamboo poles, branches and vertically placed cork flats can be used. You can also provide plants such as Pothos and any thing else that is hardy enough to support their weight. Temperature: Keep temperatures around 75-80 ° F. Humidity should be kept between 60-80% Allow the enclosure to dry out for a period during the day. 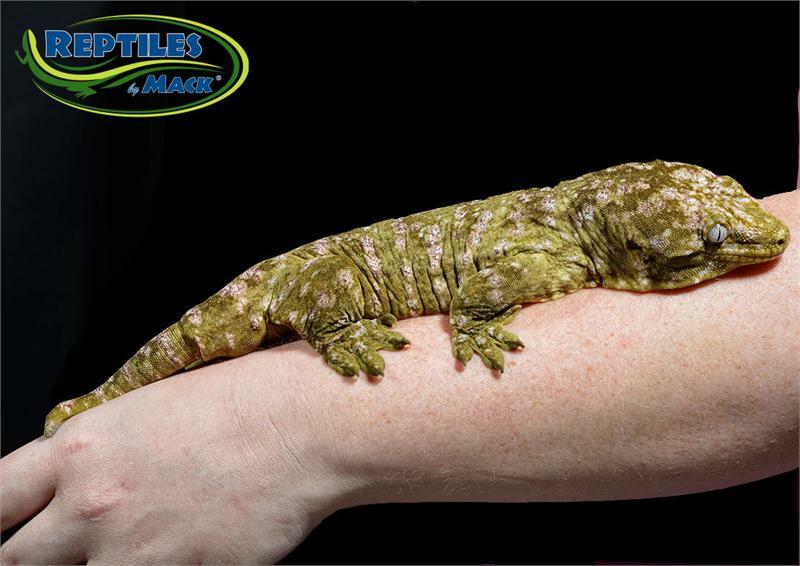 Giant Leachianus geckos are more susceptible to bacterial infections, so do not let the environment be completely wet. Limit misting to the walls or areas the gecko does not normally rest on. Lighting: Giant Leachianus Geckos are nocturnal and will not likely come out when lights are on, no lighting is required. Food and Water: Giant Leachianus Geckos are frugivorous. They feed on fruit and live prey such as crickets and roaches. Provide crickets that are slightly larger then the width between their eyes. Coat the insects with a calcium/ mineral supplement that contains Vitamin D3. Provide a fruit based meal replacement 3 times a week and leave it in the enclosure for two days and 1-2 feeds of live prey. There is also a commercial gecko food available that many gecko keepers use. Provide fresh chlorine-free water in a shallow bowl that cannot be tipped over daily. Use a plant mister. Mist the Gecko heavily twice daily. 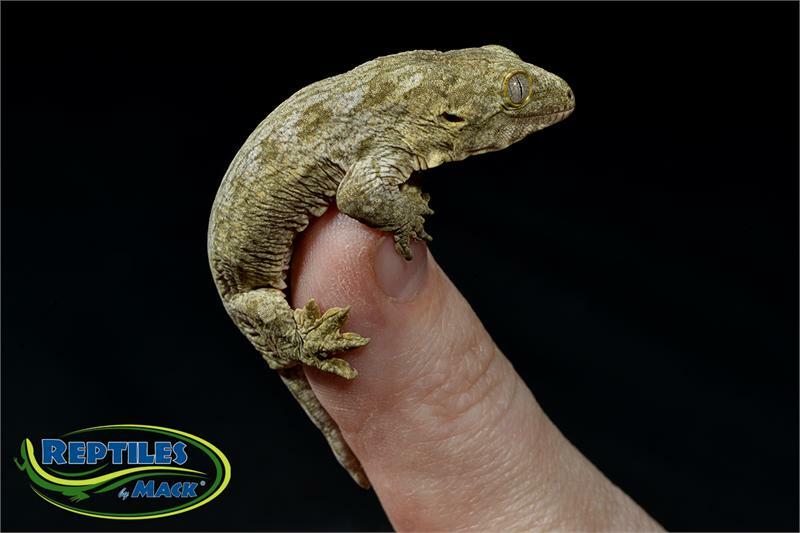 Over the past 33 years we have provided our quality pet store customers around the world with outstanding reptiles and amphibians that Reptiles by Mack is famous for. 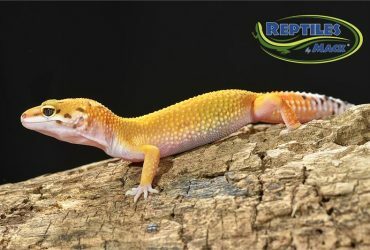 If you are a retailer and would like to receive wholesale pricing from Reptiles by Mack, please email, or call us today to see what quality reptiles can do for your bottom line! 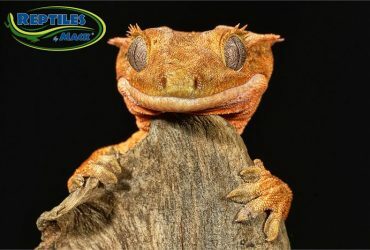 This site is hosted on a secure server to help protect you and your privacy while enjoying our awesome reptiles and articles. This is just part of our commitment to you in providing you with a safe browsing experience.